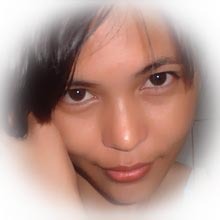 Good afternoon blog viewers! How are you today? Maybe a lot of you are busy tonight waiting for the New Year’s Eve! May you have fruitful years to come. By the way, do you remember this lady? 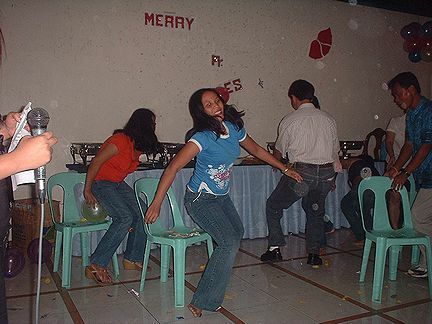 She was the star of the night during our Christmas Party, why? because she had the unique accessories she’s wearing. How do you find her? 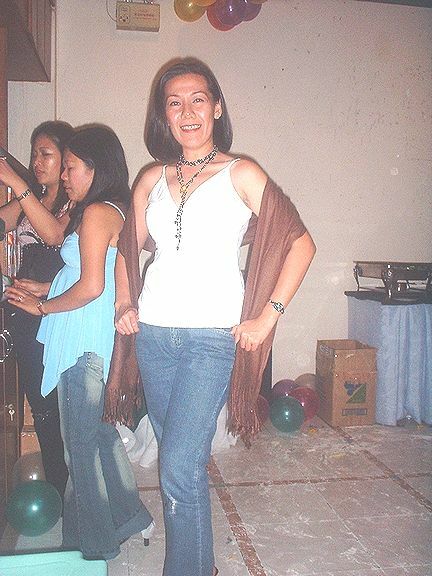 She performed on our 1st Christmas party, like a virgin…You know you will enjoy with her company coz’ she’s a joker. How about you? Can you make me to smile like what she’s doing? Have a blessed New Year to all! Yoroshiku Oneggaishimasu! and you don’t hurt anybody. Have you seen a game like this?